The Last Years of Long Lives is a unique account of that period of old age which precedes death. Based on 400 complete individual histories and covering a twenty-year period, it looks at the experiences of people over eighty years old in three important areas: disability, family life and health care. Using the life-course approach to research, it reveals rich data about the contributions of formal and informal care and how life expectancy and experiences of disability interact with experiences of care. The reader is invited to conceptualise these phenomena as processes in continuous time - processes that are sometimes long and complex, sometimes short and simple - and learns about the four types of disability career before death. At the same time, the author presents a three-stage model of informal care and examines the main patterns of formal service use. 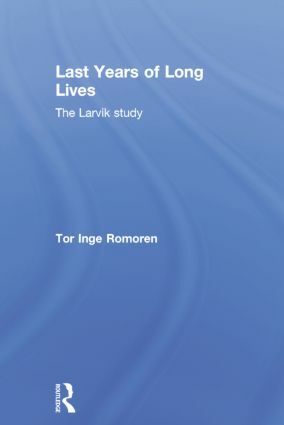 The Last Years of Long Lives presents a new way of looking at old age for students, researchers, practitioners and policy makers and gives a comprehensive picture of what has been called 'the fourth age'.